Okay for those who saw this post before I ran in here to edit must have been thinking "OMG okie really did take up drinking as hobby!". The truth is, well I load photos after I get the projects done and then go back and do the content of the post and I guess I forgot to check my dates to see what content needed to be entered and edited *okie hangs head in shame*. So about this nice little western gift bag...I like it! The lower print came from a pack of Recollections paper from Michaels, where the other animal type prints have come from lately and I think there are a few more I have used it on. The upper paper was from Dollar Scrapbooking that I got a few years ago. Since I am from Oklahoma I do try to keep some western theme on hand...it only makes sense! 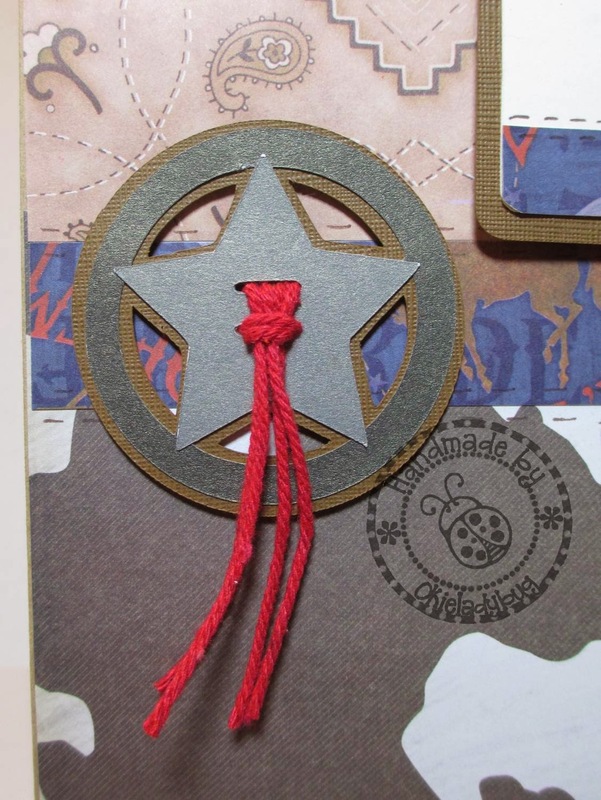 I cut the tag and the cute little concho with my Pazzles. The tie on the concho is some more of the Maya Road cording. The little star on the tag is from a punch and it added a little more interest to the tag. I'll try not to do anymore drunk blogging *okie cracks up laughing* but there can't be any guarantees about that! Love this gift bag. I think this one would work beautifully for a male or female, plus it would would for most age groups too. You did such a super job matching different types of papers, prints and colors on this bag. I never would have thought to put these different papers together, but somehow they work fabulous together. 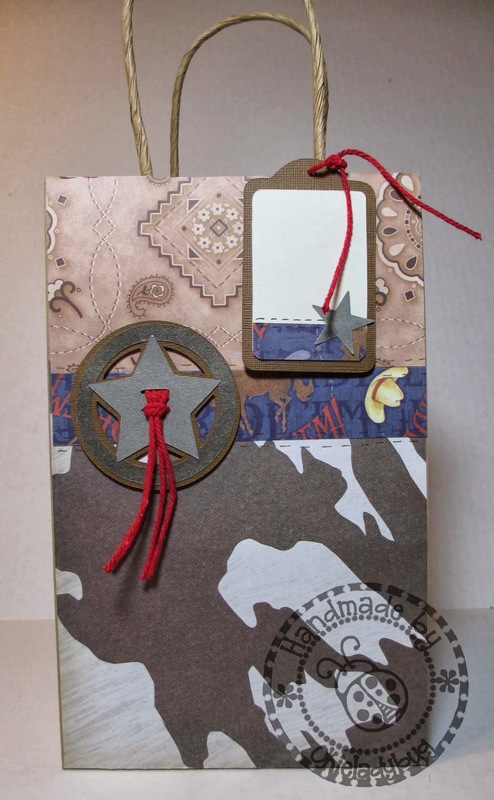 Love the star too, on both the bag and tag ... it's the perfect accent piece for the western-theme. You always crack me up! Cute bag.